Countertop 770 is a natural finish, water-based sealer featuring an oleophobic additive that repels water and fluids, resisting staining, and eases clean up. Ideal for concrete countertops and integral sinks. 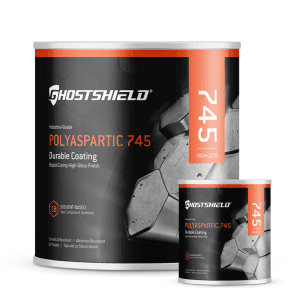 Countertop 770 penetrates concrete substrates providing oleophobic and hydrophobic properties. Food-safe and VOC-free, this sealer protects concrete against water, fluids, UV light exposure and wear and tear of everyday use. 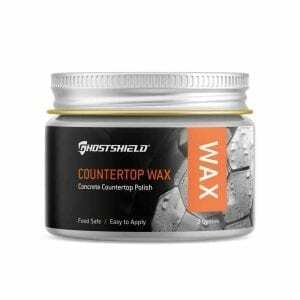 Use with a Concrete Countertop Wax. Excellent staining resistance, better than any other natural finish countertop sealer I have used. Highly recommended and it really will not ever scratch off or peel away! High price for such a small bottle, but this product really worked well and was easy to use. It covered way more countertop space than in the specs. I put three thick coats on about 40 square feet of counters and still had plenty left. Dries quickly and darkened the countertops by a couple shades and added a slightly glossy sheen. The overall look was much improved by this product. This product works is easy to use and works great. This product was very easy to mix and apply. I like the fact it does not have a high shine or strong odor. Applied it 3 times for good coverage and still had more leftover. It sealed my concrete countertop just great. they also make a glossy solvent based sealer. It is a good product I would use it again.